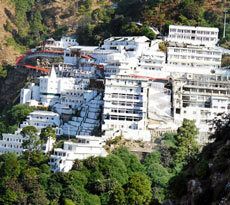 Mata Vaishno Devi Yatra is among the holiest pilgrimages in India. 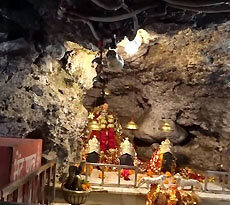 The holy cave shrine located in the Trikuta hills at an altitude of 5200 feet in the state of Jammu and Kashmir is dedicated to Vaishno Devi Yatra. Thousands of devotees from across the globe have deep faith in the presence of divinity and perform the holy trek. From the base of the trek, pilgrims undertake the arduous journey of 14 kilometers to the holy cave. 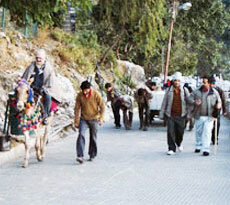 We help you with multiple options of Vaishno Devi Tour Packages. According to legends Mata Vaishno devi took refuge in the Trikuta hill and meditated here for 9 months. The main temple has the idol of three Hindu goddesses in the form of Pindies, representing Goddesses Kali, Lakshmi and Saraswati. Plan a Vaishno Devi tour to be blessed by the divine Mother Goddess. You can visit throughout the year as the temple is never closed. 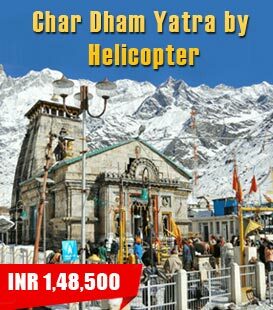 While trekking from Katra to the temple is a preferred way, there are also many options of Vaishno Devi helicopter yatra. Although if you prefer to arrive on foot, there are facilities for ponies, palkis, etc. 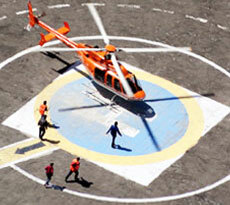 While Vaishno Devi helicopter package yatra does save time and the hassle. Apart from the main cave temple, there are other attractions like Banganga, Ardh Kunwari, Main Bhawan and Bhaironath temple. Furthermore, Maa Vaishno Devi trip is considered incomplete without visiting the Bhaironath temple. Choose from our extensive range of Mata Vaishno Devi tour packages. We help you in every way to have a spiritual journey.